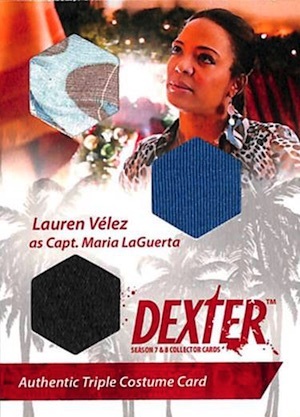 Dexter may be over, but cards are still being produced for the serial killer franchise. 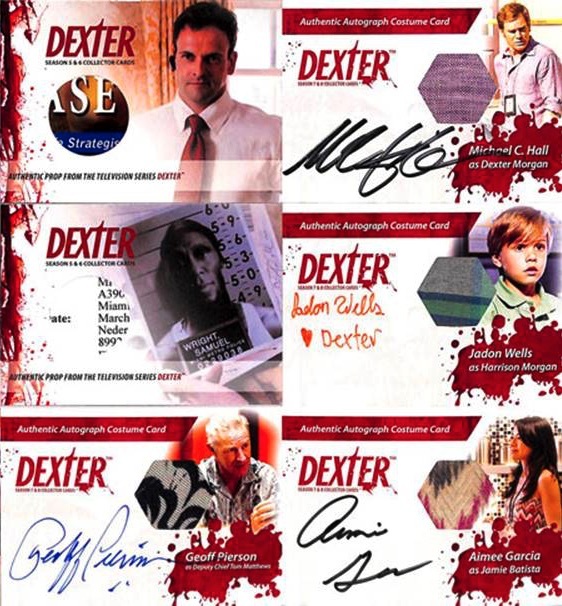 Offering a limited option for fans and collectors of the popular series, 2016 Breygent Dexter Comic Con Seasons 5 to 8 is part of a small release that helps close out the show. Issued by the pack, each promises six total hits for $65 per pack. The total print run is limited to 262 packs and all cards are serial numbered except for six of the options. 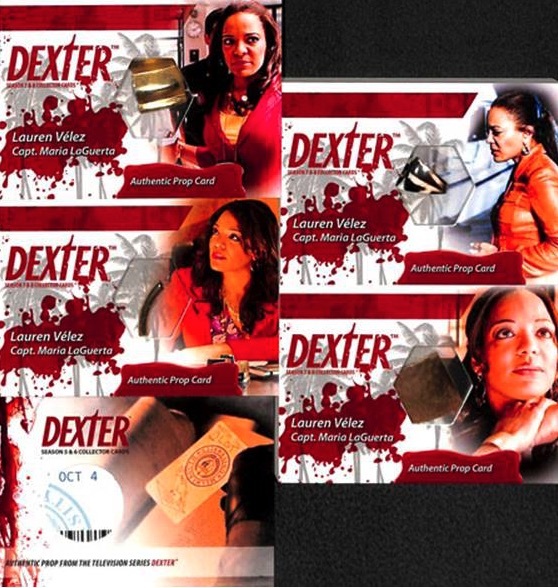 Specific cards include a variety of Costume Relics, Prop Relics and Autographs. 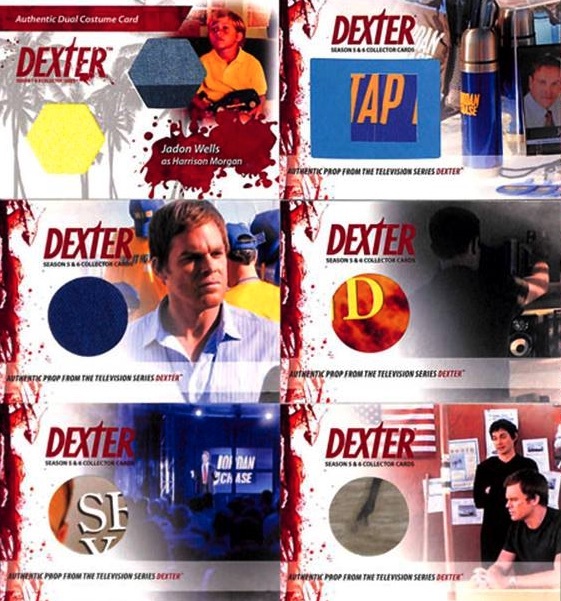 Lead character Michael C. Hall as Dexter Morgan is prominently featured in most of the inserts. In addition to the hits found in the individual packs, there is also an incentive for larger purchases. 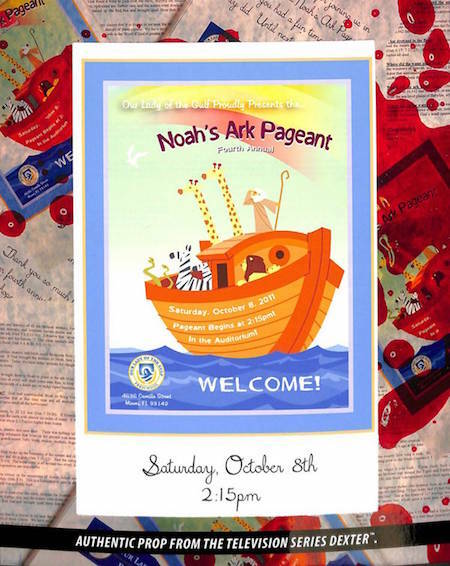 Collectors will recieve a limited 8x10 Prop Relic featuring a Noah's Ark Pageant Sheet for every ten packs ordered. A standalone set that specifically focuses on Seasons 7 and 8 is also available. 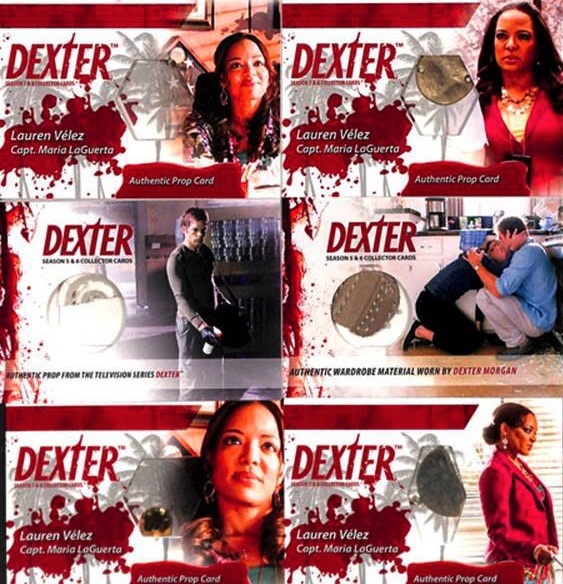 Check back as more information for Breygent Dexter Comic Con Seasons 5 to 8 is revealed. Not found in packs. One 8x10 relic per ten packs ordered.